Who has them? 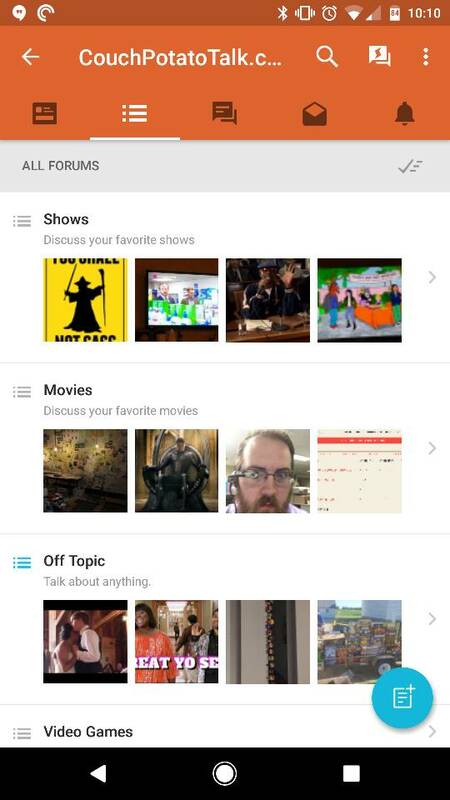 I haven't seen an ad on tapatalk for years, but they just started for me after I went to the tapatalk home and tried to discover new forums. I thought I turned off all ads for CPT on the admin page. Curious if anyone else is experiencing them. Weird. It's always been this way for you? 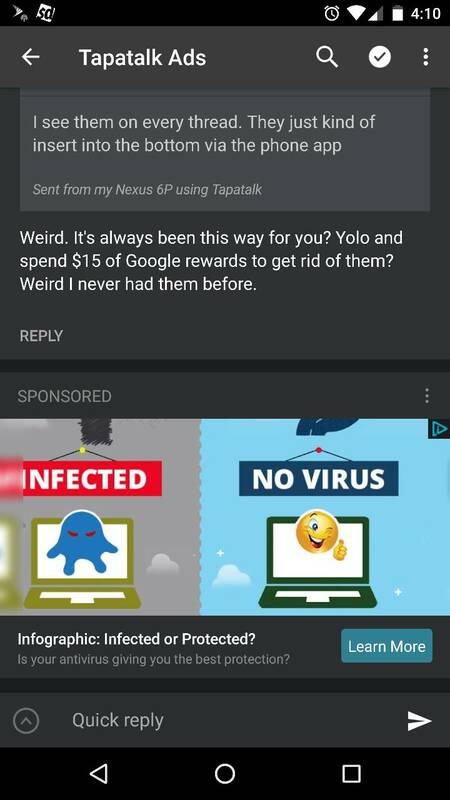 Yolo and spend $15 of Google rewards to get rid of them? Weird I never had them before. I have ads disabled where I can for the site. I had no idea people were experiencing them. I've noticed ads for a while now and I don't like it. I usually end up browsing on a PC though so I don't use the app as much anymore. wags83 wrote: Source of the post I've noticed ads for a while now and I don't like it. I usually end up browsing on a PC though so I don't use the app as much anymore. I paid the $15 to never see them again. I have nothing better to spend my Google Rewards on.